How well do you know this amazing lake and its spectacular natural towers? Get to know this spectacular body of water, and what makes it so unique, on an eveningtime walk with a knowledgeable guide at the lead. TUFA FORMATIONS... of Mono Lake, in Mono County, and to say they look otherworldly is to speak an opinion that is shared by many who encounter them. 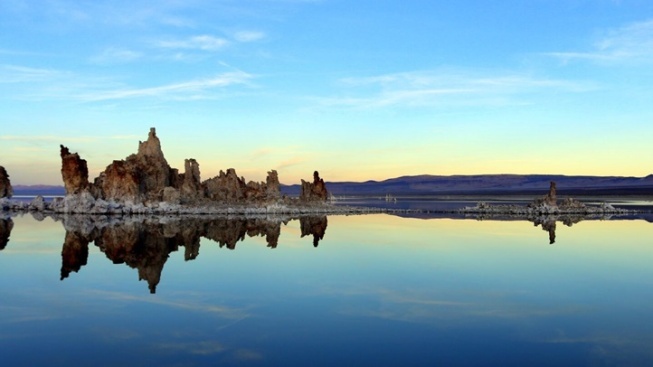 But do you know all that there is to know about tufa, Mono Lake, and what makes it especially wondrous? If not, or if you can brush up on your lake-based knowledge, best reserve your spot on a free Sunset South Tufa Tour. A knowledgeable naturalist will be at the lead, meaning that you'll stock up on your tufa facts but also what birds frequent the area, why brine shrimp call the ancient lake home, and why this is often called "the most unusual lake in California." IT IS FREE, as mentioned, but you'll need to pay $3 to enter the South Tufa Area. And it is understandably described as "popular," because, c'mon, tufa is amazing, so don't wait to be within shouting distance of Mono Lake to sign up. And you may be within shouting distance if you're planning an Eastern Sierra road trip or a swing by Bodie State Historic Park.